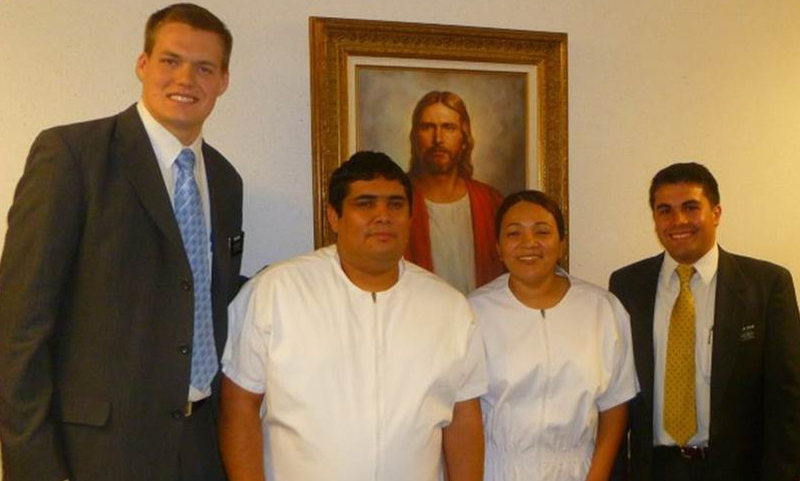 It started out a normal day like any other missionary day. Elder Staples and I had planned a busy evening full of lessons. In fact, we had scheduled four lessons, one every hour, from 5 to 8. We were on track to have an amazing evening. But that afternoon, as we called to confirm each appointment, one by one they all cancelled except our appointment for 8 p.m. Even our back-up plans fell through. We were disappointed, but after a quick prayer, Elder Staples and I decided to drive over near the area of our 8 p.m. appointment and start tracting during our new free time. We began by knocking all the doors in the first apartment building, with no success. We continued knocking doors in the next building. At the first door, a little boy answered. From inside we heard a lady yell loudly, “Que Pasen Adelante,” meaning Come on in! Suspiciously we entered the apartment and sat down on the couch. The little boy’s Hispanic mother quickly walked over and kindly introduced herself to us as Olga. It seemed, strangely, as though she was excited to see us. My jaw dropped to the ground. I could not believe it. She later explained that her life had been difficult and confusing. She did not know where to turn for help or direction, particularly regarding religion. She attended a few different churches, but none of them felt right and she often did not feel welcome. Finally, growing weary of searching, she gave up on her quest of attending different churches to find God’s true church on the Earth. One night she knelt down beside her bed and asked God to send her some messengers so that she could be taught light and truth from them. She asked to find out more about God and His true religion. That night as she was sleeping, she had a vivid dream. In her dream she heard a knock at her front door and so she answered it. On her doorstep she saw two young men. As she looked at them she heard an authoritative voice tell her to listen to these men, because they would teach her the truth. When she invited the two young men inside her home, she awoke, but still clearly remembered the details of her special dream. Four days later Elders Staples and I knocked on her front door. She said as soon as she heard the knock, she had a strong impression that these were the messengers from God whom she had seen in her dream. Olga is a lady of strong faith and hope. She accepted everything we taught her about the restored Gospel, the atonement of Christ and the reality of modern prophets in these latter days. She was excited to schedule her baptismal date several weeks away. During our next lesson we planned to teach the Word of Wisdom principles. Olga invited us over to have lunch before we started our final discussion about the commandments. As we sat at her kitchen table, she gave us two large glasses of iced tea. We were shocked. We did not know what to do. We didn’t want to offend her in any way or scare her off from her scheduled baptism. We continued to eat our lunch without touching the iced tea. Eventually my companion and I decided to just start teaching Olga the Word of Wisdom right then and there. As soon as we explained the doctrines involved, she said, “Elders! Why didn’t you tell me this earlier! “ She then immediately picked up our glasses of tea, poured the contents down the sink and then threw her boxes of iced tea in the trash bin. We have always admired the faith and desire that Olga had to live the Gospel fully and follow Jesus Christ into the waters of baptism. After her baptism, Olga gave us many referrals of her friends and family to teach. She is also excited for her small son to grow up and serve a mission. We know that God guided us to Olga that special night in answer to her sincere prayers. 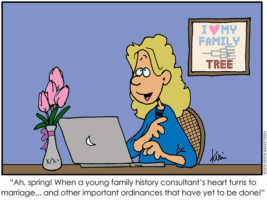 Now we understand why our other appointments fell through! Thank you for sharing your inspiring story of faith.